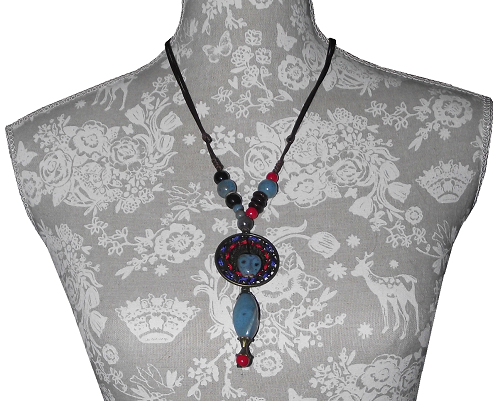 Oriental fashion necklaces decorated with painted ceramic beads in a selection of different sizes and shapes. 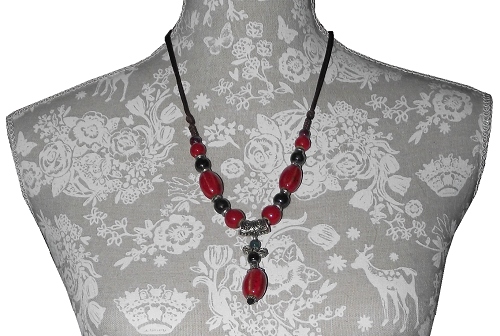 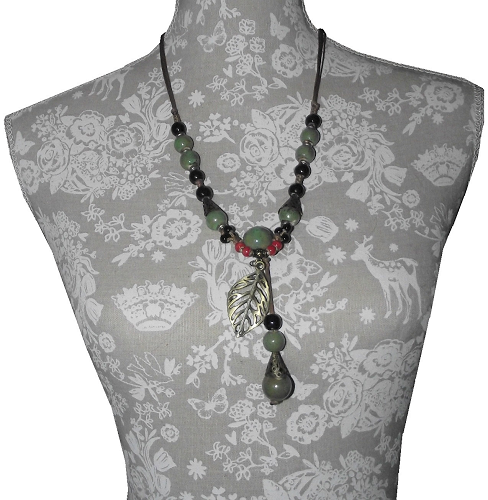 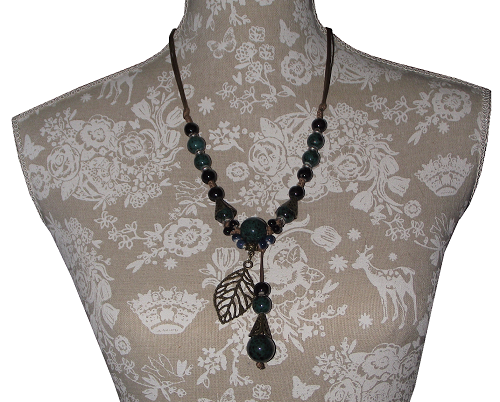 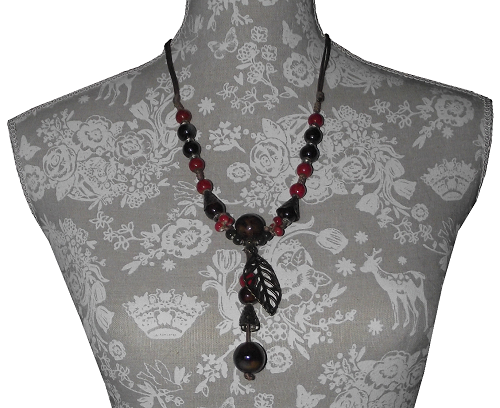 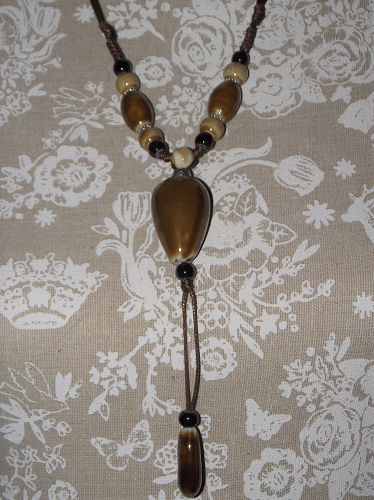 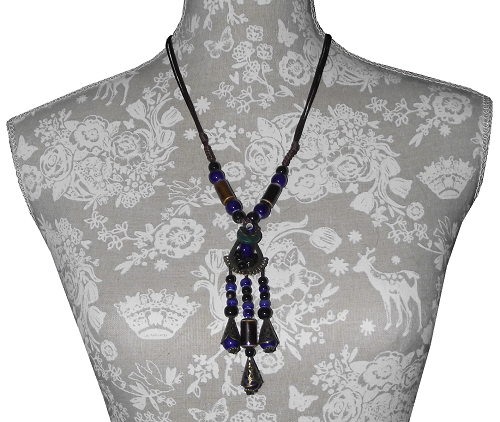 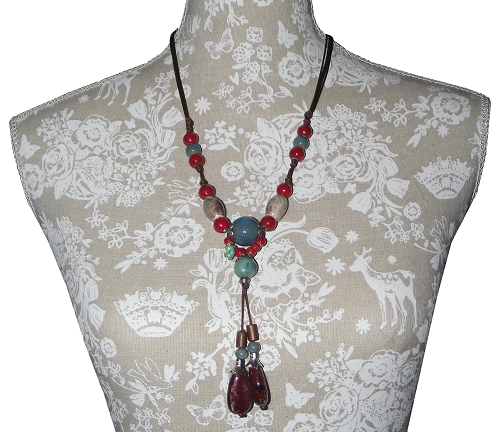 This attractive Chinese style necklace has a rustic look with beads ranging from ivory white to dark brown in colour. 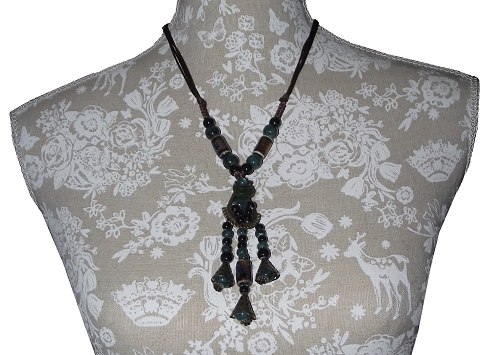 The painted ceramic beads are strung onto a traditional Chinese slipknot cord with decorative silver colour spacers and ornaments.